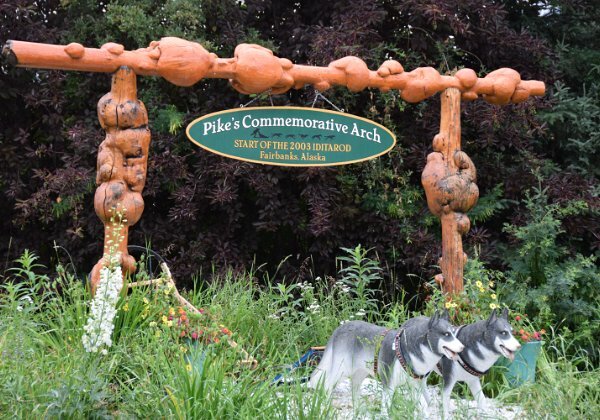 We stayed at the hotel at Pike's Landing, where they start the Iditarod whenever Anchorage doesn't ahave the snow to start the race. Sign showing past Iditarod winners. The history of the Iditarod. Iditarod route.showing change of starting city. This is an interior view of the pipeline. This is the tool that cleans out the pipeline. View of the heating pipes, used to keep the ground frozen. Explanation of what the heat pipes are used for. Explanation of why the pipeline is elevated.